– Security and Cryptography are essential for all embedded systems. Whether you want to protect your IP against counterfeiting, your devices against manipulation or data collected on the devices against snooping, SEGGER’s Embedded Experts got you covered. 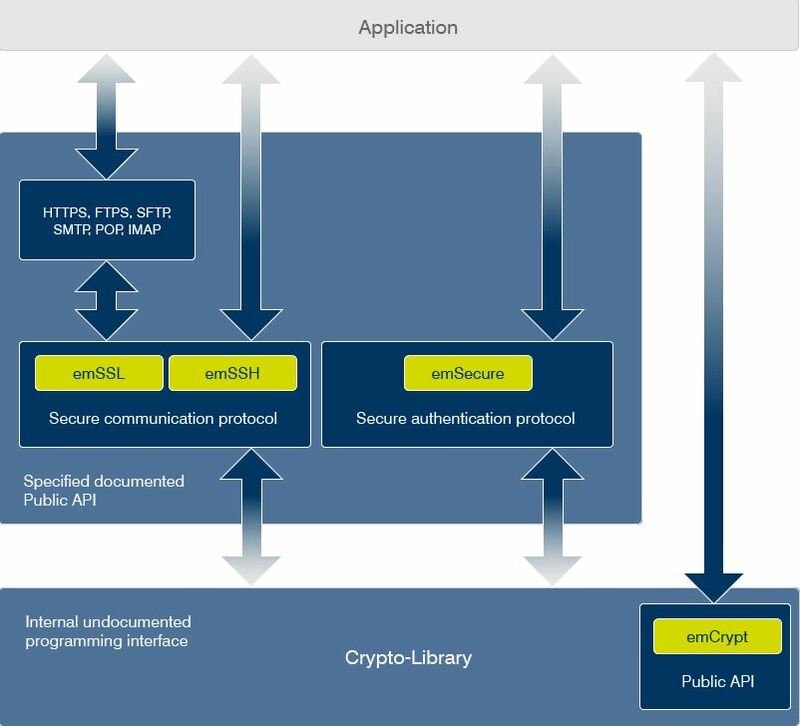 SEGGER’s cryptographic and security libraries have been built from the ground up for embedded systems. The resulting libraries are extremely fast and use little resources in memory. You can select whether you want to use a protocol, that already is fully implemented such as SSH (emSSH), and TLS (emSSL), or you can pick emCrypt and create your own security protocol based on proven, state of the art algorithms. emSSL is software library that enables secure connections across the Internet. emSSL offers both client and server capability. SSL/TLS is a must-have in nearly every application which is connected to the Internet. Products of the IoT, smart grid or home automation markets benefit from securing their communication. emCrypt is a stat-of-the-art cryptographic algorithm library that scales well from resource-constrained devices, such as deeply embedded systems to workstations. It is ideally suited to create security protocols.